You’re an Asian Woman with MS, tell us a little about MS and your diagnosis.. I was diagnosed with MS in 2008, when I was 28, although I’ve probably had it since 2004. In 2004 I lost the strength in both my hands, to the extent where I couldn’t grip and couldn’t use a knife and fork properly. At the time it was put down to Repetitive Strain Injury, but then three years later I lost the feeling down the left side of my body, from my toes up to my shoulder. I’ve had other symptoms since my diagnosis, like extreme fatigue, muscle spasms and pins and needles too. MS affects around 100,000 people in the UK and it’s an autoimmune condition that affects the central nervous system. Your nerves become damaged so it affects your core being. Worst case scenario for someone like me with Relapsing Remitting MS (there are four types of MS and RRMS is the most common) is that I could be in a wheelchair within 5-10 years. That’s scary, especially as I didn’t know much about the condition. It’s not something that is well known in the Asian community, which is why I think there are lots of misconceptions about it. How do you keep active with MS? I plan! I have to get enough rest and I’ve had to adapt. Take hockey, for instance; when I was diagnosed I was training twice a week and sometimes playing two games in a weekend. Now I can’t manage that. I play one game at the weekend, give it my all and know that it will wipe me out for the rest of the day. Or when I go to Zumba, I make sure I have a nap beforehand so that I can give 100% in the class. What advice would you give someone who has recently been diagnosed with MS? I’d say it’s all about recognising, accepting and adapting. Recognising what your new capabilities may be, accepting that things may have to change and adapting your life so that you’re able to continue to enjoy it. Also, there is plenty of information and support out there so if you do want it then don’t be afraid to ask. The MS Society and the MS Trust are good places to start. There is an Asian MS support group that works under the umbrella of the MS Society too. There’s always plenty of Desi Khana (Indian food) at Asian MS events! I love food so what do you love to eat? Ice-cream!!!!! I’m an ice-cream addict! When I went to Italy there were some days where I just skipped lunch and had gelato instead! I’m also a carb-lover. I can’t live without my pasta. Plus I love paneer. Which is weird because as a kid I hated it! But now I could quite easily eat it every day! 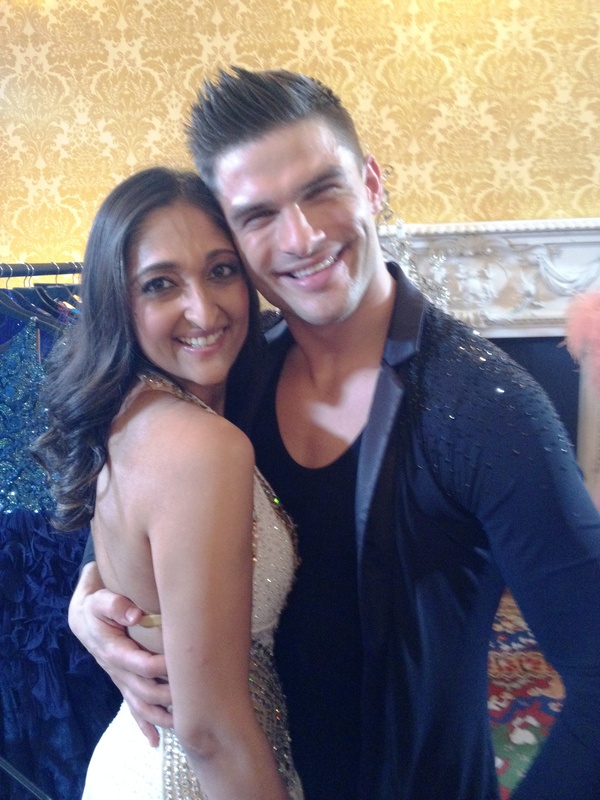 So, you’re on The Peoples Strictly with the lovely Aljaz.. What has the experience been like so far? This has been the best experience of my life! It has challenged me physically, mentally emotionally. I feel like I’ve been on a roller-coaster for three months and I don’t want it to end! Aljaz and I have had an absolute ball rehearsing our jive. I’ve ended up on my bum on the floor a number of times but we’ve just fallen about laughing over it. He’s been amazing to me and I couldn’t have wished for a more caring, understanding and compassionate dance partner. I’ve loved everything about the whole journey – the dancing, the sparkles, the filming and getting to know the other five absolutely inspirational and wonderful contestants. My biggest supporters have been my family and friends, the MS community and the hockey community. But everyone has been fantastic to be honest and they’ve really got behind us, especially knowing how challenging this has been for me! Tell the readers of Priya’s Blog a secret about you.. I still watch “Neighbours” avidly every day! :-O If I ever go to Australia, the first port of call will be the Neighbours tour for me! 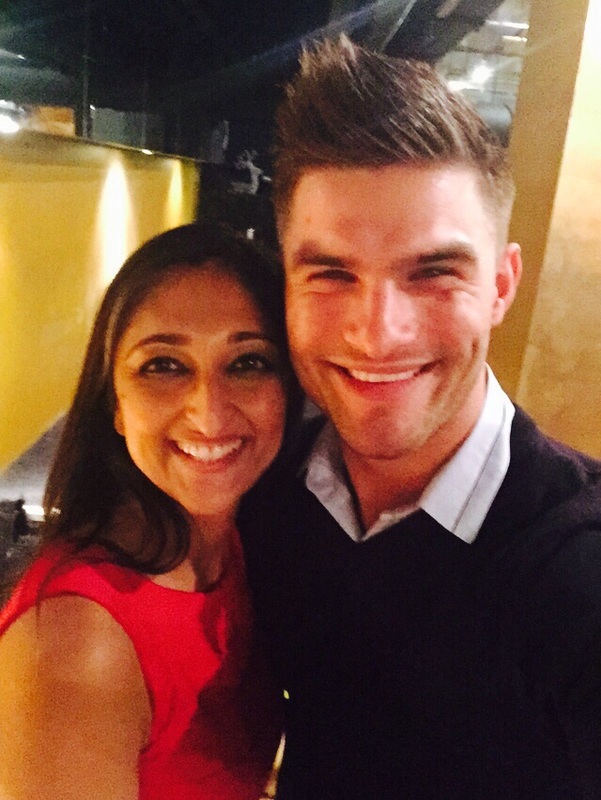 I wish Trishna ALLLL the very best in The People’s Strictly…get voting tonight after all the couples have danced and don’t forget lines will only be open for 30 minutes.